The movie is based on the fourth installment of the saga Millenium of Stieg Larsson. However, this book, causa of Larsson's death, was written by David Lagercrantz. 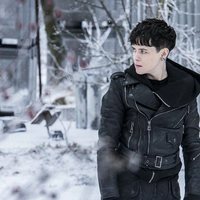 This film tells the new story of Lisbeth Salander and Mikael Blomkvist. On this occasion, Mikael Blomkvist knows to Frans Balder, a scientific connected to Artificial Inteligence's field. Balder says that had an information which can be of his interest and which involve to the American Government. Blomkvist think that this is an new scoop and the opportunity of establish to Millenium. On the other hand, he knows that this is his only posibility to reencounter with Lisbeth. For her part, after to sustains a cibernetic attack, she knows that it's happening something out of the ordinary and she is ready to discover it. Write your own 'The Girl in the Spider web' review. 'The Girl in the Spider's Web' is the fourth installment of Millenium saga. However, there isn't americans film adaptations of the second and the third part. 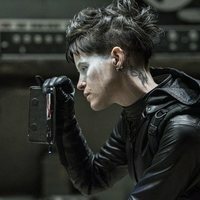 This movie will follow up of 'The Girl with the Dragon Tattoo' directed by David Fincher.